Discussion in 'Tutorials and Tools' started by GiveMeAllYourCats, Nov 15, 2017. I actually did just that. You can update to the dev version of Cats with the build-in updater. There is an option to ignore the internal dictionary which will result in the exact same shape key translations like in 0.9.0 and older. Thank you. I got pretty tilted yesterday just thinking about all the manual editing I would have to do in Unity's laggy ui windows. Hey, this looks like a fine piece of code. Would you mind if I put this into cats? Because there isnt anything to fix i guess, no armature found so nothing for cats to fix. It keeps moving all UV- Verts to 0,0 when the model is fixed or parts are joined. Please fix. Makes it impossible to use the tool. does your model parts that you combine uses same uv map? You have to import a model with an armature first. I already fixed this in the development version of cats. Update to it with the build-in updater. 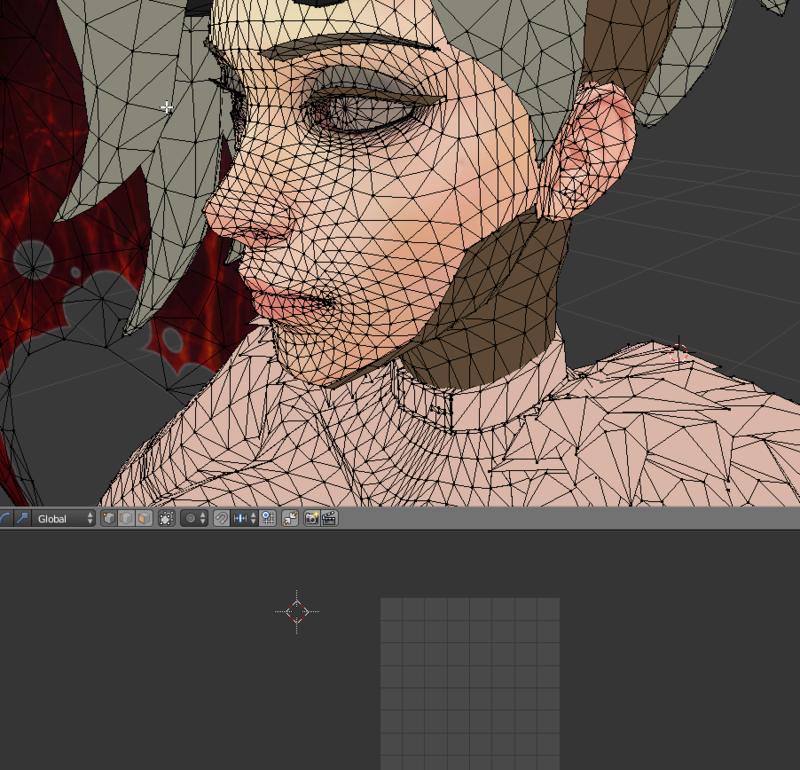 There's no Mesh Options for me when I'm setting up for the Eyes Tracking thingy for my model. Help? I don't have mesh options for viseme. Help? The mesh option only gets displayed if there is more than one mesh in the current model. After using the CATS protection function, setting 100 on regular basis shows the avatar having holes and missing polys/verts on the mesh in unity. Perhaps my characters is too low poly? could't get it to work unfortunately. I get an error every time I try to export it to fbx. Weird question, but has this error ever come up before for any of you? 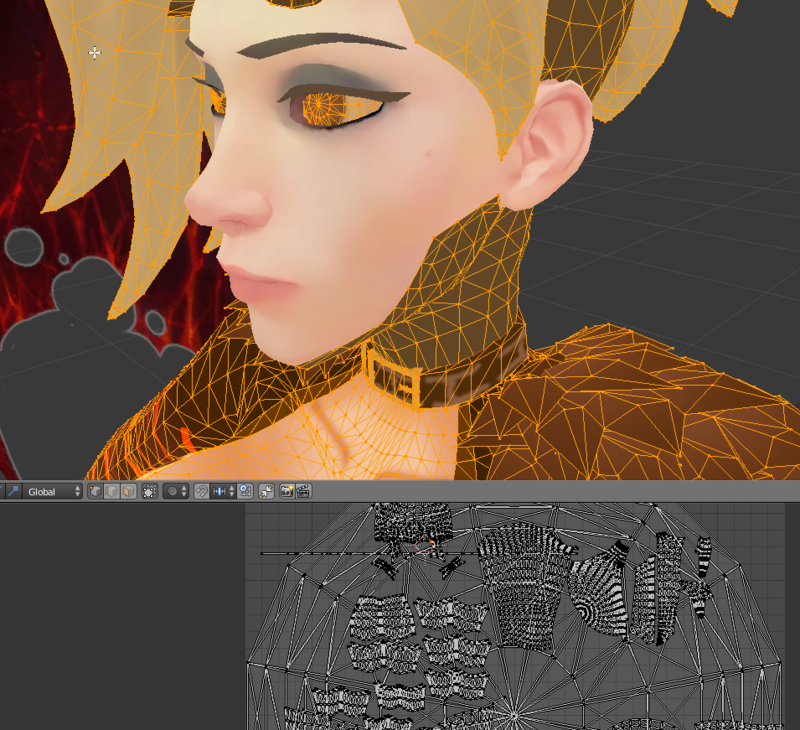 Did you disable the fbx export plugin? There is no definite fix for this yet. Try to completely uninstall and then reinstall cats. After trying multiple times, the same error keeps coming up. So, hopefully a fix gets found. Please try this: Close Blender, go into the addons folder and delete the cats folder, open blender, in the user preferences look for cats and disable it, save the user preferences and then install Cats again through Blender by installing the zip. Nope, still doesn't work. Could there be something with the new Cats? When i use an old version of Cats, it partially works, but for renaming bones, objects, and meshes, it says it can't connect to google. The recent addition of warnings for unjoined meshes and excess materials is great for helping with one of the major avatar optimization problems. However, the actual current Public Enemy #1 for avatar optimization is Dynamic Bones. It takes up a huge amount of frame time even when there's a decently reasonable amount of affected transforms in a given model. I usually personally recommend having less than 30 affected transforms (not scripts) when using Dynamic bones. Less is always better. Using none is ideal, but hey, people want fancy hair and etc. I get that. I think that Cats has enough information to infer when there's a huge amount of extra bones in the model. I think Cats should show a non-stopping "warning" when there are tons (say, 2x of the standard rig count) of extra bones outside the standard rig to inform users not to abuse/overuse Dynamic Bones. Blender 2.8 completely overhauls basically everything Blender. First off, Blender Render is gone. All work must be done in the node-based Cycles render mode. This is also partially a problem with mmd_tools as it imports into Blender Render by default. If mmd_tools doesn't update in time, this may cause pretty major problems. Also, pretty much all of the Cats tools that affect materials and textures will have to be adapted, as well as Shotariya's tool. Second, the UI is very different. I imagine Cats will have to refactor their UI. Might be a good chance to redesign the UI, as it has gotten a little bloaty (but honestly still not super bad). I fully expect many tools to stay in 2.79-land for a while and for 2.8 fixes to take a bit. That being said, there's a lot of advantages of working in Cycles and I hope you guys can start looking at it soon. As always, thank you for everything you do to make importing avatars a cinch compared to the 2-3 hour monster it used to be.